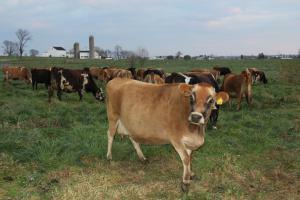 Consumers ask FDA for labels and for freedom to support dairy farmers of their choice. Traditional dairyman and their Jersey Cows are popular with some consumers for their creamy milk. 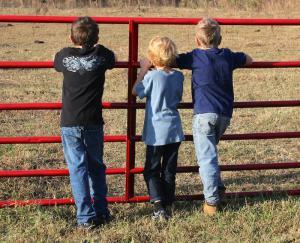 Children visiting a dairy farm. 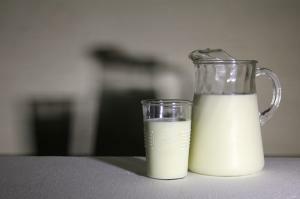 The proposed label would warn consumers to heat their raw milk so as to home pasteurize it, and thereby reduce the risk of illness from possible contamination. Citing cases of four farmers hit with “extremely burdensome” costs associated with FDA enforcement of a ban on interstate sales, RFCC says it filed the petition in part to comply with an executive order by President Trump to reduce burdensome federal regulations. The FDA position is that raw milk is unsafe and should not be consumed for any reason. The petition argues that labels would “reduce the risk of foodborne illness by providing proper handling instructions.” By recognizing this, the petition claims, consumers retain access and choice while keeping a firm emphasis on food safety. “At root, the FDA’s regulations aim exclusively at milk, and not a whole host of other foods, like raw sushi, sashimi, meat, fruit, and vegetable products, demanding that milk alone be pasteurized to be sold interstate,” says Jonathan Emord, the attorney representing RFCC. “That discriminatory burden is unjustified when disclosure of full information about self-pasteurization can be put on the label to aid consumers of raw milk. This petition asks the FDA to accept such labeling for raw milk products, as an alternative to its draconian prosecution of Amish farmers and others who for centuries have produced and consumed raw milk products." The group is expecting an answer to their petition in the 180-day time frame allocated by the FDA. Visit HartkePR for more RFCC Photos.